On its 50th anniversary, the International Jazz Festival of La Spezia is “twinned” with New York. A musical bridge has been set between the two cities, that will see parallel events happening from July to October, a real cultural exchange of artists performing both in Italy and America. The participation in New York, from 10 to 16 October 2018, during the Italian Jazz Days, of some young Italian musician selected during La Spezia Jazz, is scheduled. The “Young Jazz Book – La Spezia meets New York” project, the world premiere of La Spezia Jazz Festival beyond the ocean, will be realized thanks to a contribution of 40,000€ winned by La Spezia Municipality by participating to a SIAE Call, named “Sillumina – Copia privata per i giovani, per la cultura” (Ed. 2017). 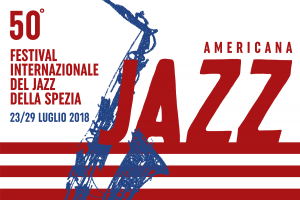 The City of La Spezia will organize a series of concerts dedicated to young Italian artists who, thanks to the partnership with the Italian Jazz Days, will perform in New York main clubs, together with musicians of international standing. From 10 to 16 October 2018 the selected young musicians will be granted the opportunity to travel to the United States and play with great American masters, who often are Italian/American. Five young Italian artists / groups will have access to the New York shows. In some cases the groups have been created for the occasion. The components were chosen on the basis of the musical curriculum and live experiences, in our country and abroad. These musicians will be joined by the winner of the Tiberio Nicola Awards, granted to the best participant in the seminars held from 24 July in La Spezia. The Italian Jazz Days, now in its 6th edition, is produced by Twins Music Enterprises, which has already collaborated with the Associazione Amici del Jazz della Spezia and involves 5 clubs in New York jazz scene, and is held during the Columbus Day celebration in New York .